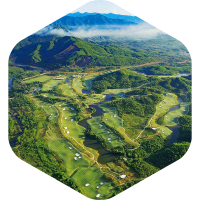 something that is reflected in the variety of its top golf courses, which range from tropical beauties to some of the closest equivalents to classic links play in the Far East. 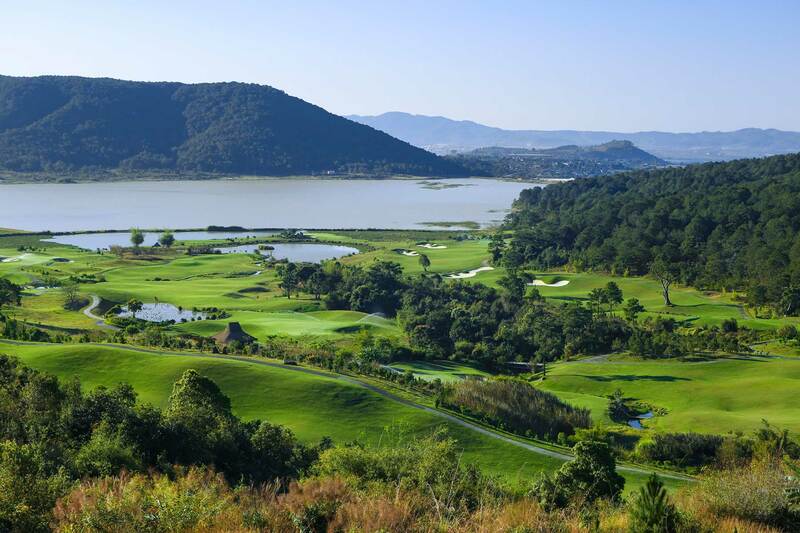 In fact, a compelling argument can now be made for Vietnam as a true golfing heavyweight in the region, with layouts such as the Dunes course at Danang Golf Club and The Bluffs Ho Tram Strip regularly ranking among the best layouts in Asia. Other gems scattered at destinations up and down the nation maintain this gold standard. While its buzzing cities are an undoubted highlight, Vietnam’s bounty of towering mountains, emerald paddies and endless white sand beaches are ripe for exploration. Throughout this tapestry is woven outstanding golf layouts guaranteed to thrill the most exacting connoisseur of the royal and ancient game. A fascinating mix of old and new Vietnam, Hanoi is changing quickly but maintains a strong sense of identity. Full of things to see, from the architecture of the Old Quarter and the French Quarter to Ho Chi Minh’s Mausoleum and the Temple of Literature, the Vietnamese capital lends itself to investigation. Within easy striking distance of the capital, meanwhile, are a stellar selection of golf courses that capitalise on the verdant scenery and mountain views. The restless ying to Hanoi’s statelier yang, Ho Chi Minh City deserves its reputation as Vietnam’s most dynamic city. The southern hub is the country’s main financial centre and its relative affluence is reflected in its gleaming skyscrapers and swanky rooftop bars. It too has a great selection of varied golf challenges. For golfers though, the most lucrative rewards arguably lie away from the two main cities. 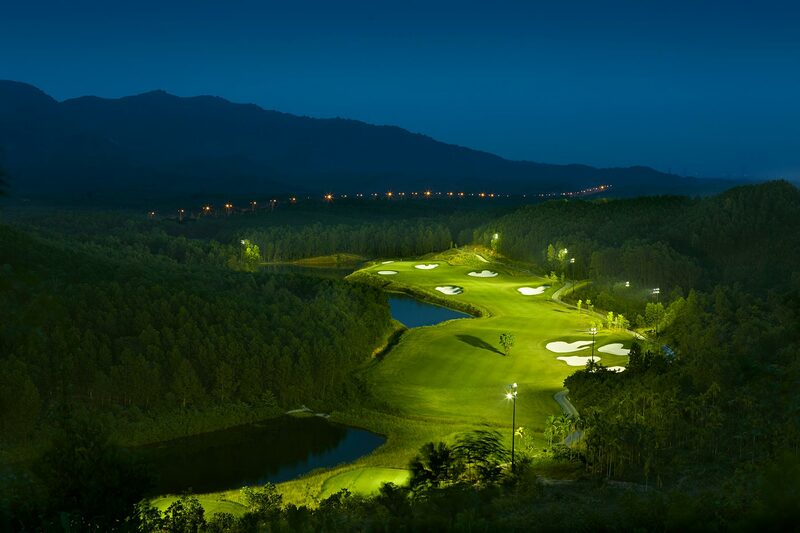 In Central Vietnam, Danang is now regarded as one of Asia’s true golf hubs. It’s also a gateway to excellent beaches and the UNESCO-listed town of Hoi An. 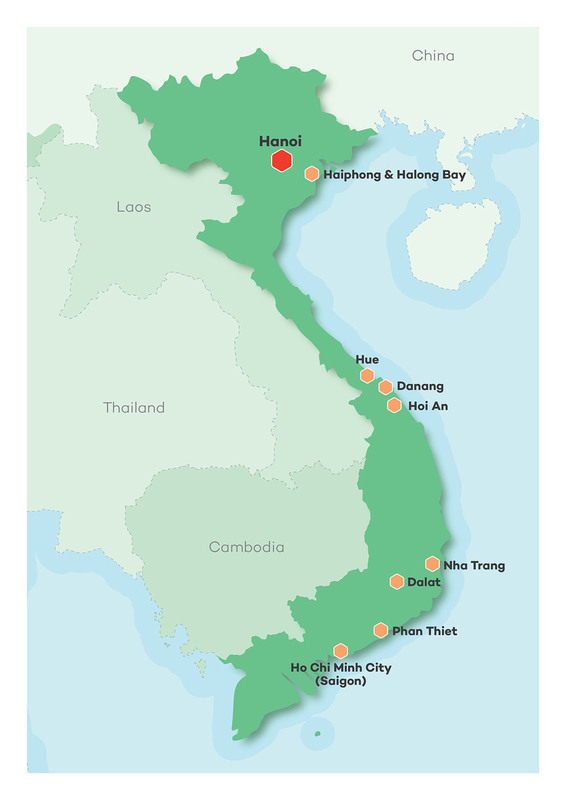 Other golfing treasures, meanwhile, lie further south along the coast at Quy Nhon, Nha Trang and Ho Tram. Golf in Vietnam may not be ancient, but it’s certainly royal. 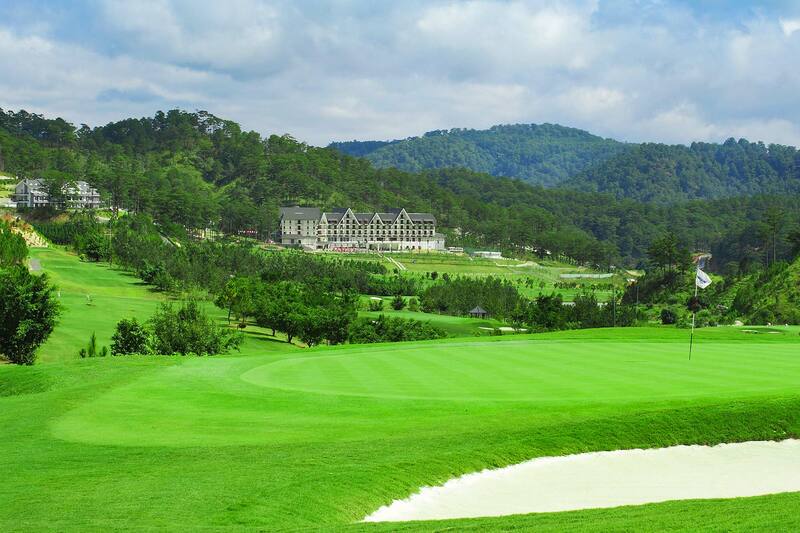 In fact, for much of the 1930s, the original holes at Dalat Palace Golf Club – Vietnam’s most venerable club – were the private fiefdom of the nation’s last emperor Bao Dai, who commissioned the course following a trip to France where he discovered the sport. The course was abandoned in 1945 after the emperor left for Hong Kong, but was revived thankfully in the 1950s and again in the early 1990s and remains a charming place to play. Vietnam’s rich gastronomic tradition is among its prime assets. Drawing on Chinese, regional and even Indian influences while remaining wholly distinct, the cuisine is adored by foodies the world over. The stars of the Vietnamese culinary firmament include pho, a noodle soup with beef or chicken and herbs in a slow-cooked broth. 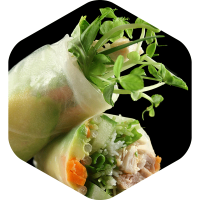 Even better, it’s a comparatively fresh and light cuisine so a big lunch won’t weigh you down on your afternoon round. Even in a region known for its wonderful people, the Vietnamese stand out for their friendliness. Although the nation is developing fast, there is no sense of the jadedness that sometimes comes with familiarity with tourists. This open-heartedness can be experienced at the country’s golf courses, where staff and caddies conspire to ensure the warmest of welcomes. Just a few long iron shots from some of the country’s best golf courses is Hoi An, an ancient town known for its history and cuisine. 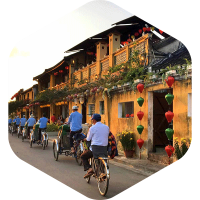 Its UNESCO-listed old centre – a colourful jumble of Japanese merchant houses, Chinese temples and French colonial buildings – evokes its heritage as a former trading centre of the Champa Kingdom. Equally compelling is the ancient town’s location a stone’s throw from beloved beaches. Producers of the R&A’s annual Golf Around the World report counted 176 projects in various stages of construction of planning in 2017. The bulk of that activity took place in Vietnam, which may soon rival any golf destination in Asia. 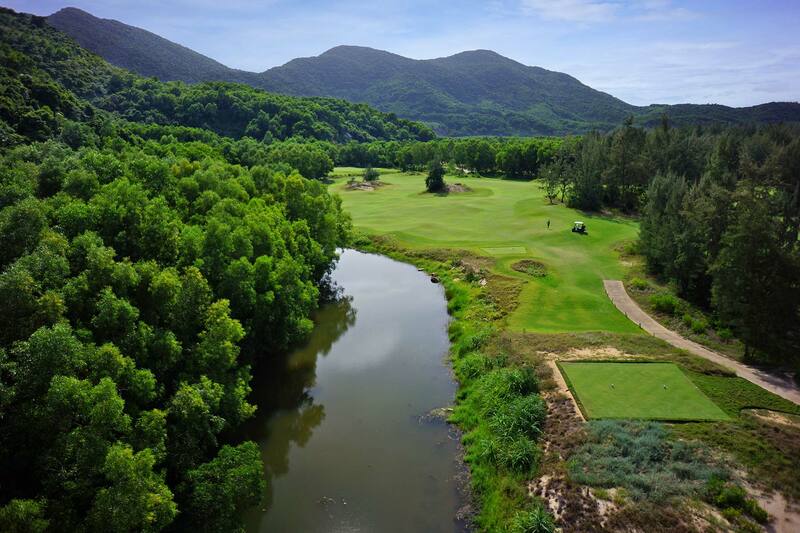 These forthcoming additions to the country’s golf portfolio join recent newbie layouts such as Bana Hills, Vinpearl Golf Phu Quoc and FLC Quy Nhon Beach & Golf Resort. Vietnam is one of the most cost-effective nations in the world for a golfing holiday. The golf itself is reasonable, but it’s off course that visitors really begin to reap the dividends. Indeed, it is estimated that the cost of living in Vietnam is around 10% cheaper than in Thailand. 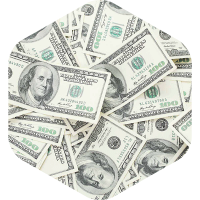 A meal for two at a mid-range restaurant costs less than US$20 while a local beer in a bar can cost as little as US$1.